Copyright The War Graves Photographic Project. John Pugh of ‘The Gables’ Wyndham Street, Machen, enlisted, aged 37 years and 7 months, on 5th April 1915. His occupation pre-enlistment is was ‘railway shunter’, he was married with three children. 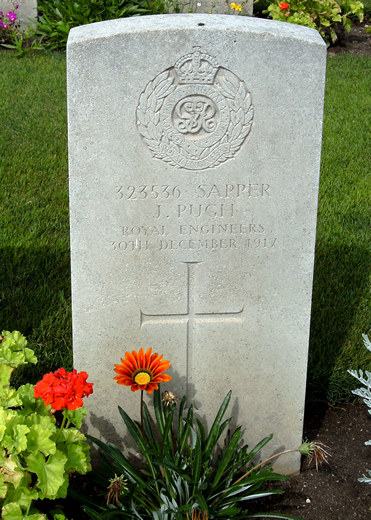 Sapper John Pugh is buried in the Hadra War Memorial Cemetery, Alexandria, Egypt. He had previously served with the Welsh Regiment in France in 1915 and was later transferred into the Army Service Corps. 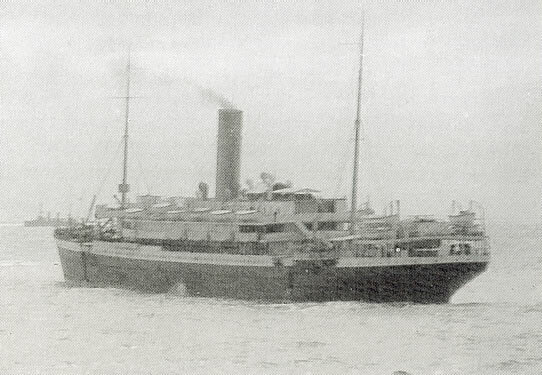 In December 1917, John Pugh was aboard the Troop ship Aragon on his way to Egypt. The pictures of the Aragon are the copyright of the Imperial War Museum and reproduced here with their permission. Just before she went down she was hit by another torpedo and then immediately afterwards the destroyer was hit. It was bad enough seeing the Aragon go, but when that happened it filled us with an even greater horror because all the survivors from Aragon were aboard. The torpedo hit her in the oil bunkers, so all the men who were thrown into the sea were swimming in a pool of oil. 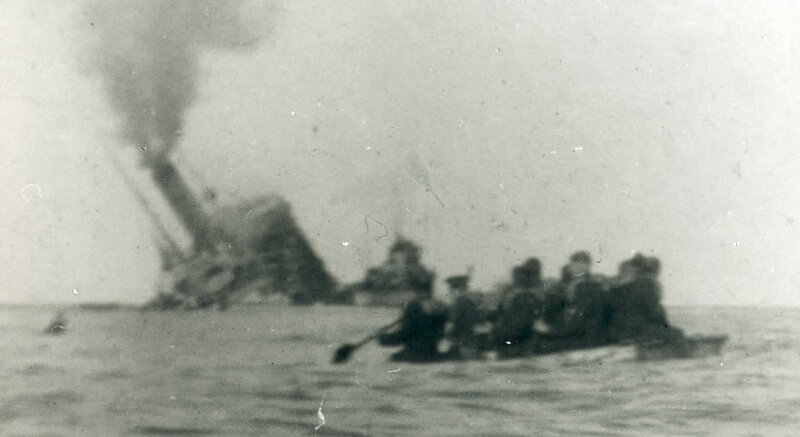 The tragic thing was that those who were wet, had had time to strip off their clothes on board the Destroyer and so they were naked when thrown into the sea. When they got into the oil it sickened them with the fumes and made them unconscious , and it covered their bodies so that it was impossible to pull them out of the water. It was terrible to see where the ships had been, and now where there was nothing but a little floating wreckage and hundreds of swimming figures. The submarine was obviously still around and the captain of our trawler decided that it was too dangerous to risk staying there any longer. So we started back for the shore. Of the 2,500 on board 610 died, including six of the nurses, also amongst those who died in the sinking of the Aragon was Sergeant E.G. 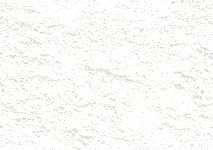 Horlock VC. He was awarded one of the early VC’s of the war for his bravery in action in September 1914.